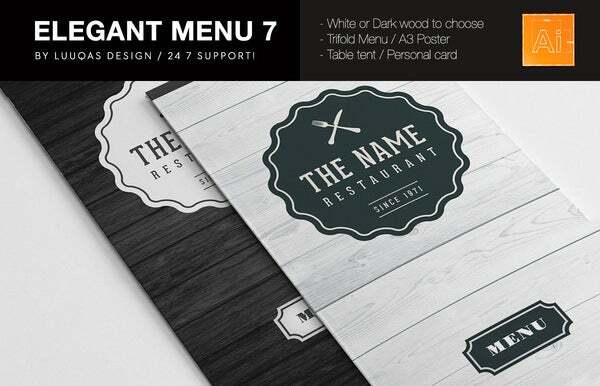 Menu Card Templates – 58+ Free Word, PSD, PDF, EPS, InDesign Format Download! 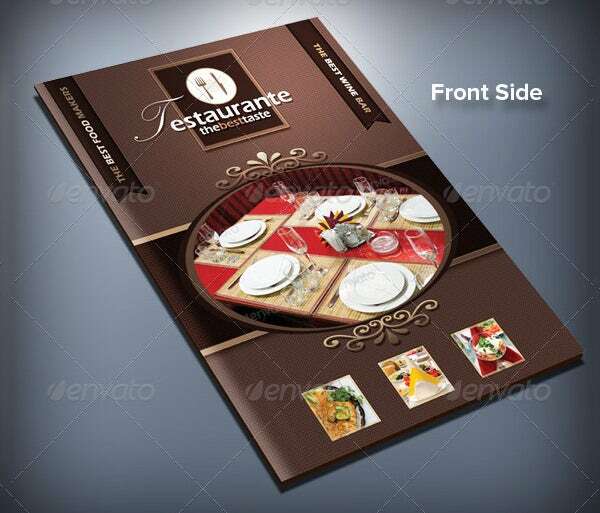 Menu card of any restaurant, café or any food point is one of the things which decide the quality of food even without eating and it decides the regular visits of a customer to you or making their first visit as the last one. 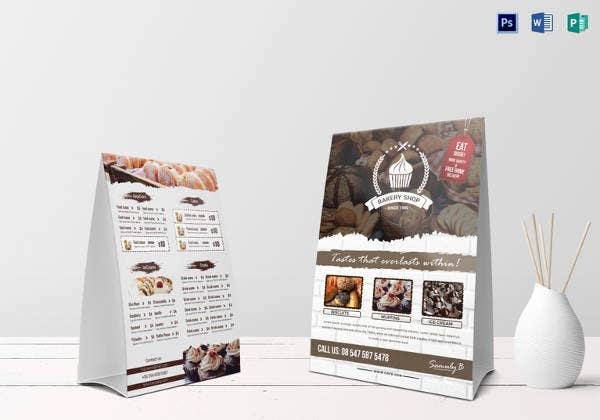 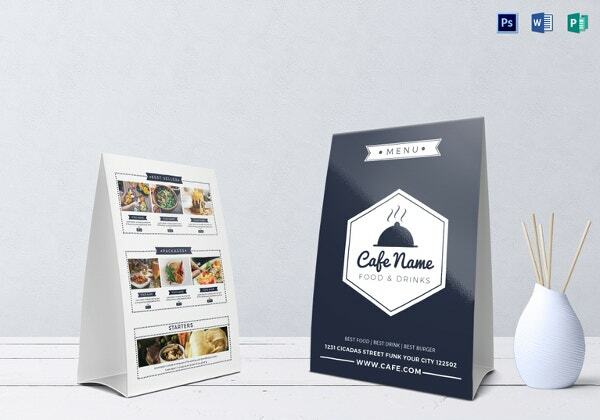 Menu card designing does not include much of your efforts rather it is just a click’s far from you now.Yes, our new innovative idea “Menu card template” makes it possible to show the best of your food point to you customers. 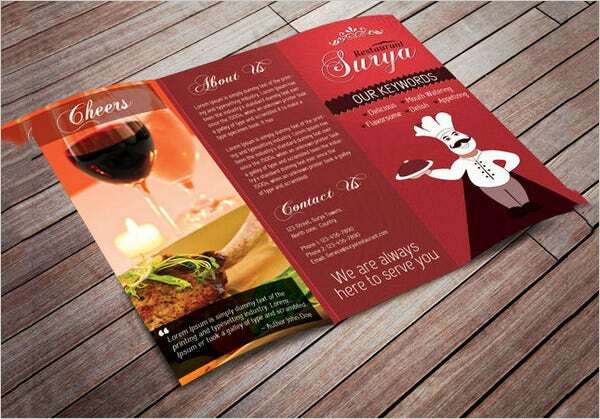 It is especially designed for the smart people like you. 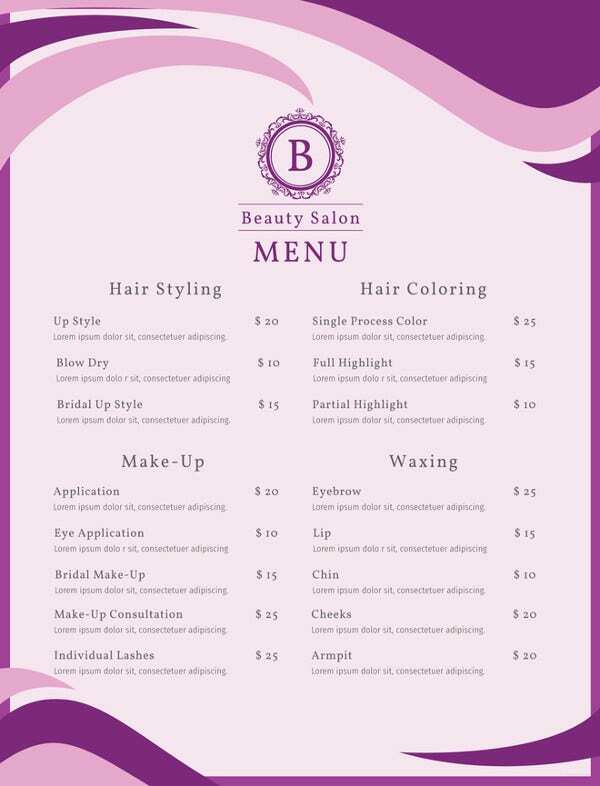 You can also see Menu Board Templates. 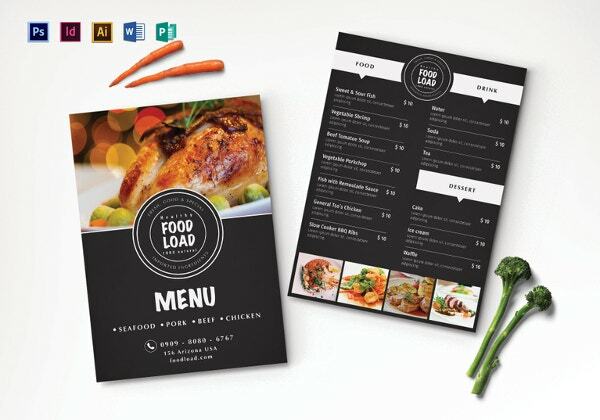 This PDF template is a flyer and a menu all in one. 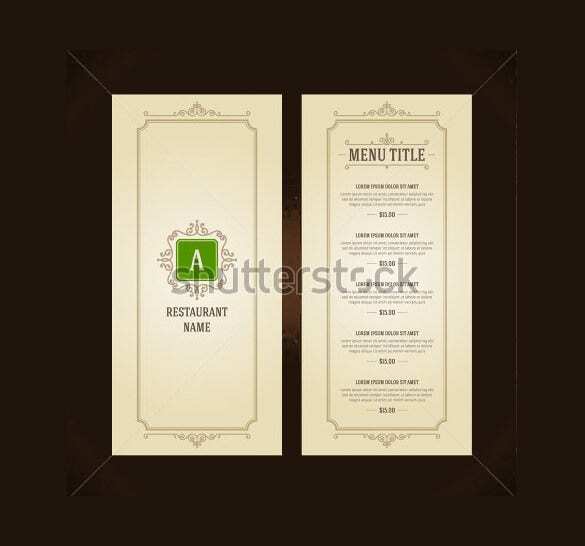 The template has an image of a dish at the top and comes in a green color. 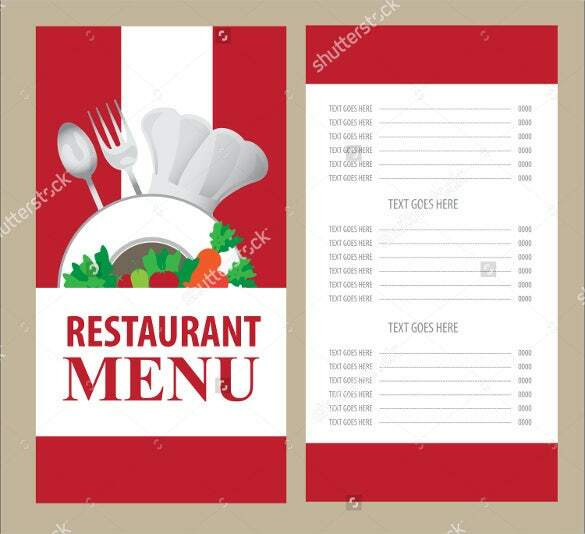 The template is a great reference to come up with a fine menu cover. 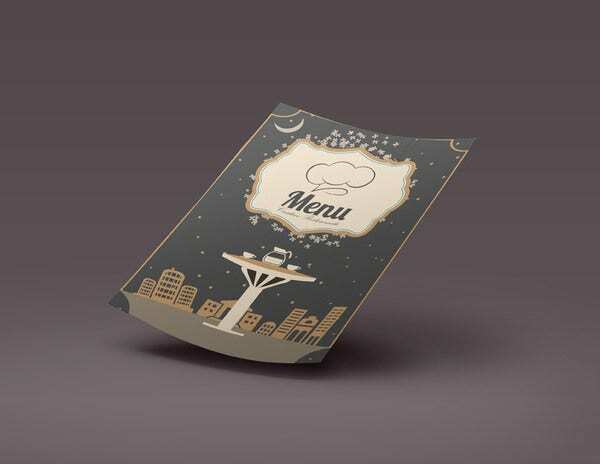 The menu has images of buildings in the background in brown and the word menu in a white cloud. 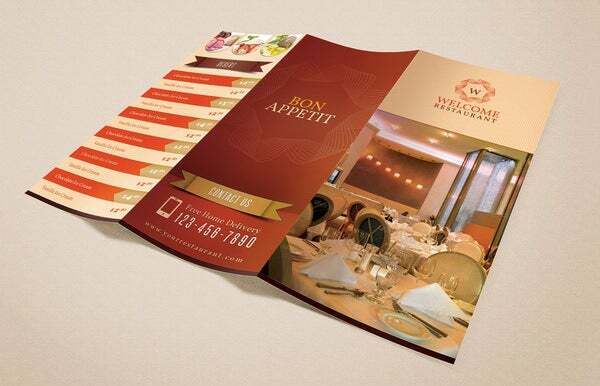 The Excel menu is a nice outlook for an uptown restaurant’s menu reference. 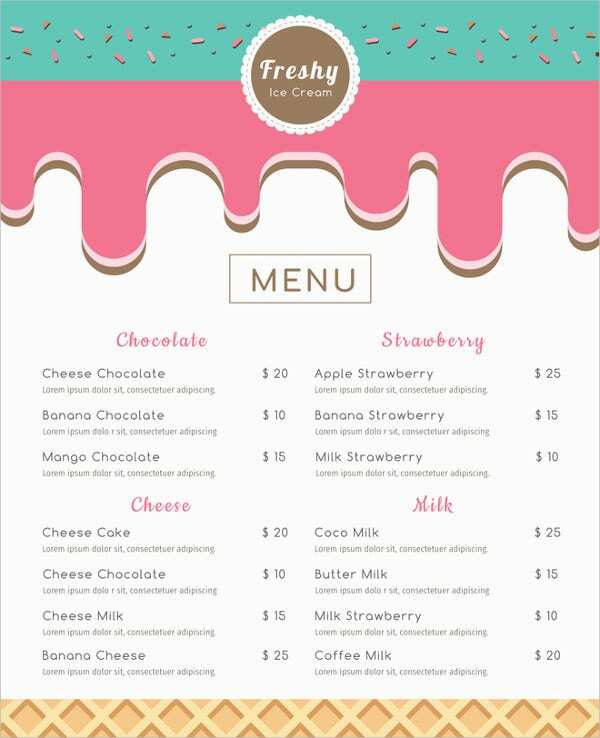 This Word menu comes in multiple bright colors which suits the liking of children. 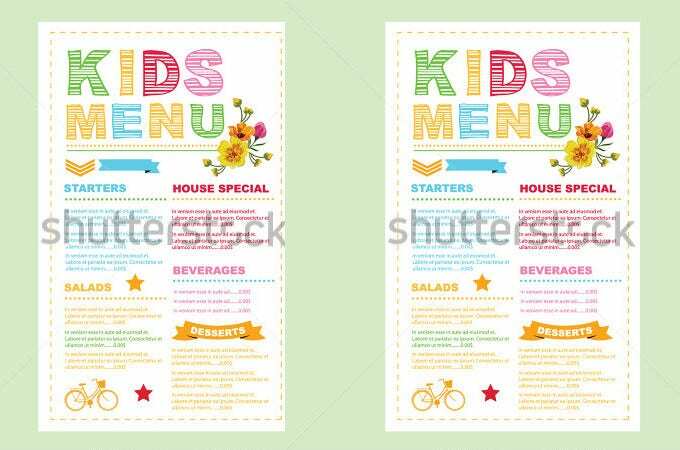 The menu has reads ‘kids menu at the top, followed by starters, salad, house special, beverage and dessert. 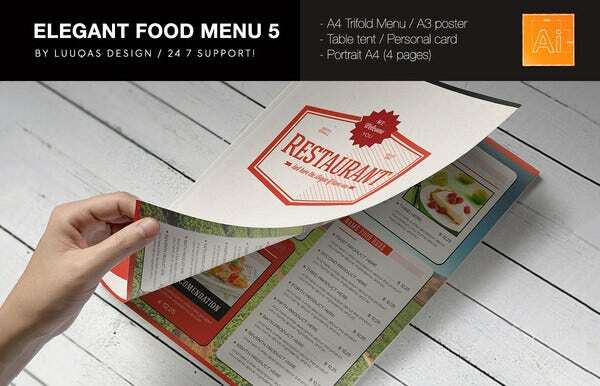 The PDF menu is a specials menu for the restaurant. 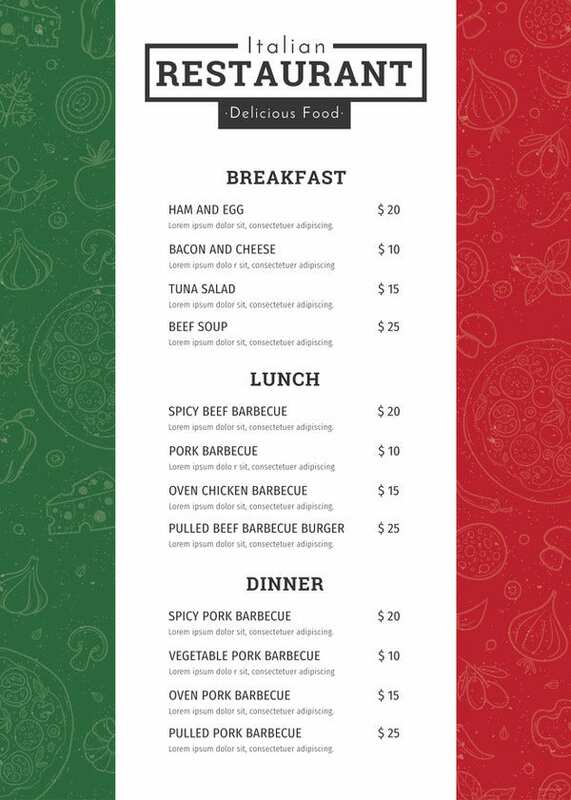 The specials are shisha + soft drink, nudeln and burger and salaze. 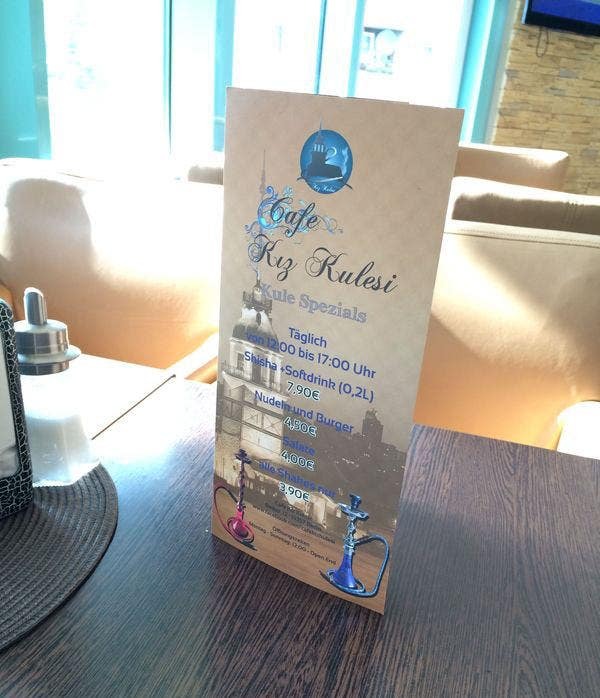 It also has shisha smoking pipes images on it. 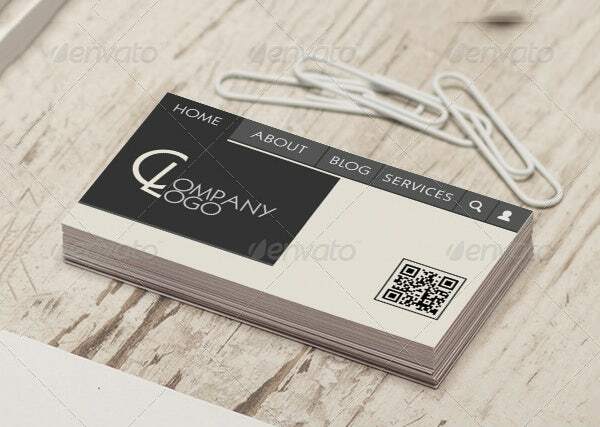 This Word template is a business card for a design and multimedia company. 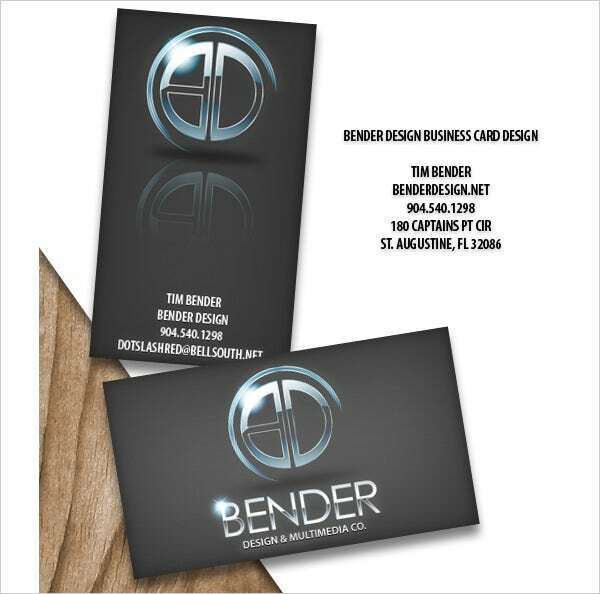 The card comes in black and the logo of the company is in bright blue at the top of the card. 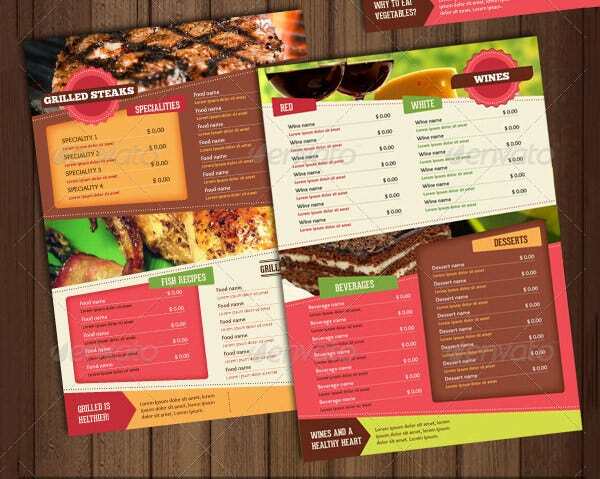 The Excel menu is one page menu with images of the items offered in the restaurant running on side down to the bottom. 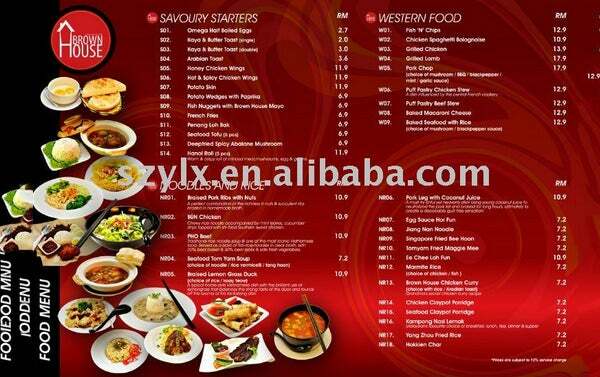 The food has savoury starters, noodles and rice, and western food as items offered. 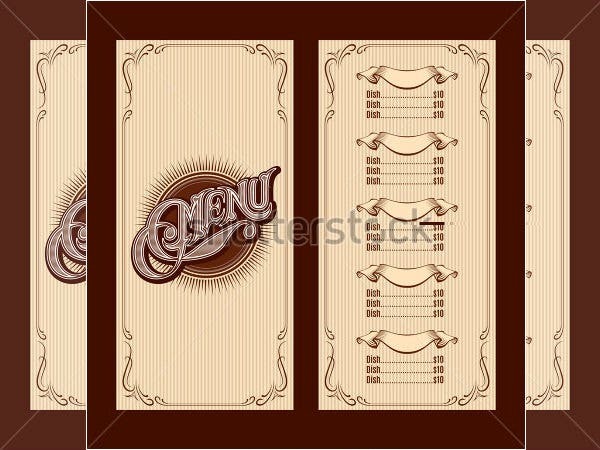 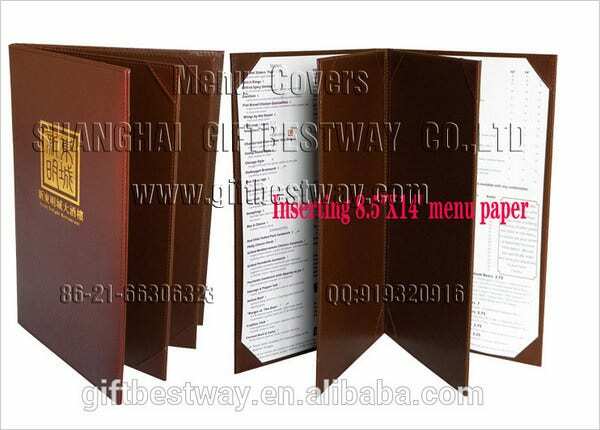 The PDF menu comes in a brown and chocolate colors, the front page has an image of a well set table with plates and other dishes. 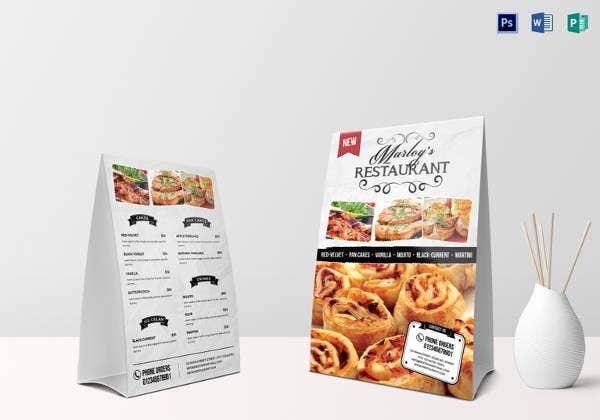 It also has pictures of food on the bottom of the front page. 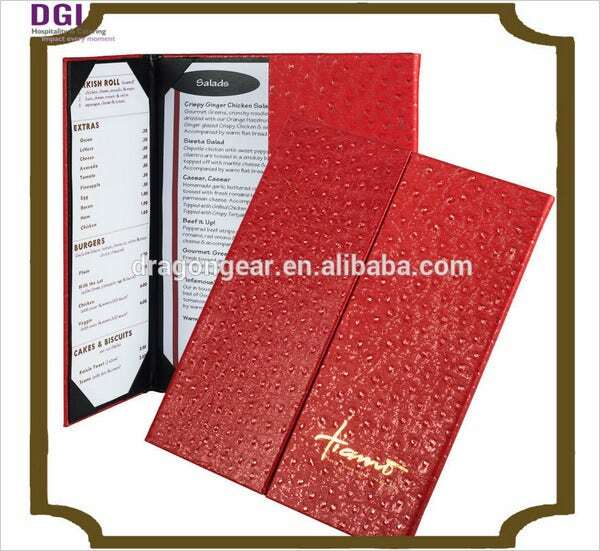 This menu’s front page comes in white with the restaurant name in red. 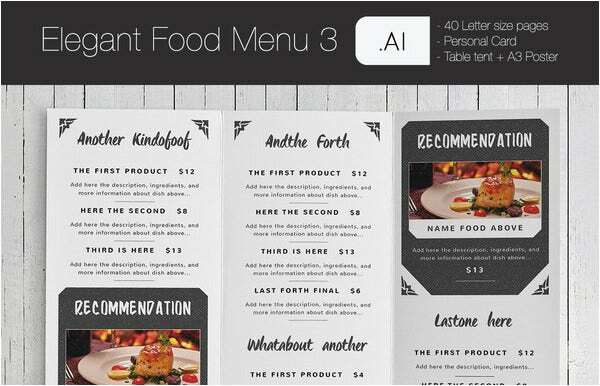 The Word menu contains the pictures of the food offered and a space items offered with their prices. 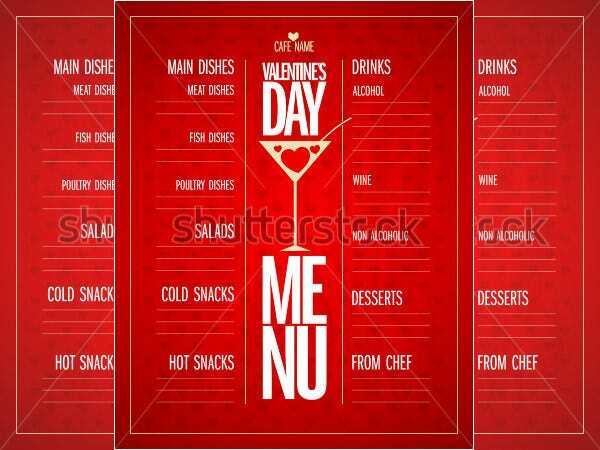 Red is the right color for a Valentine’s Day menu. 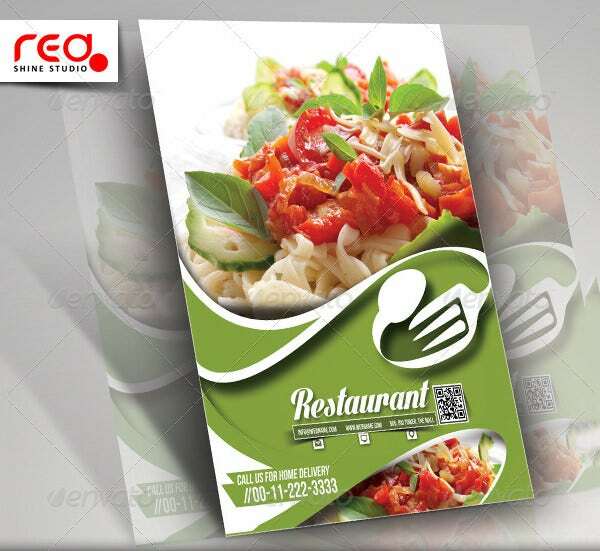 This PDF menu offers drinks, salad, cold snacks, hot snacks, dessert and main dishes. 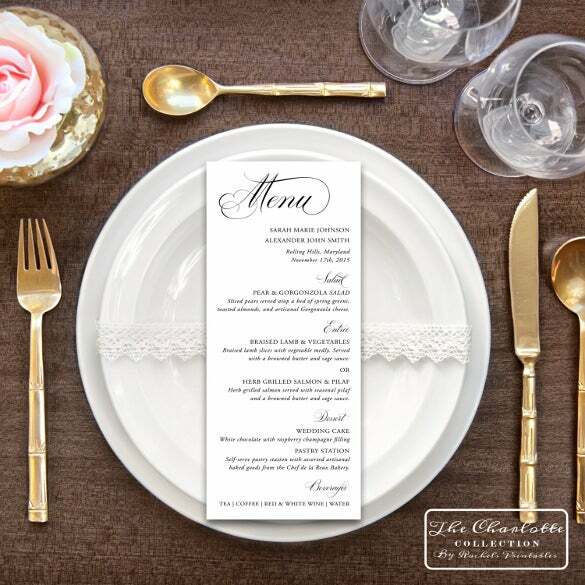 The menu has a golden glass in between the menu. 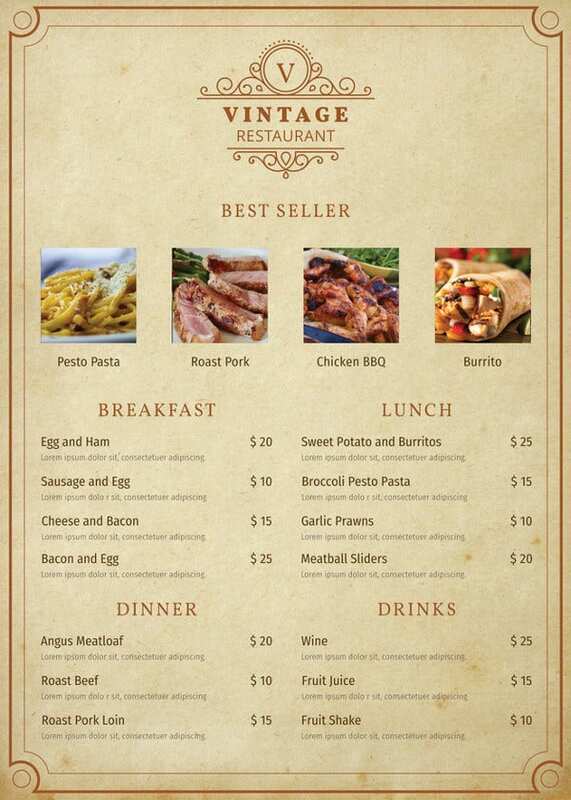 A restaurant menu with an introduction on the front way is a great way to advertise your restaurant, like this menu. 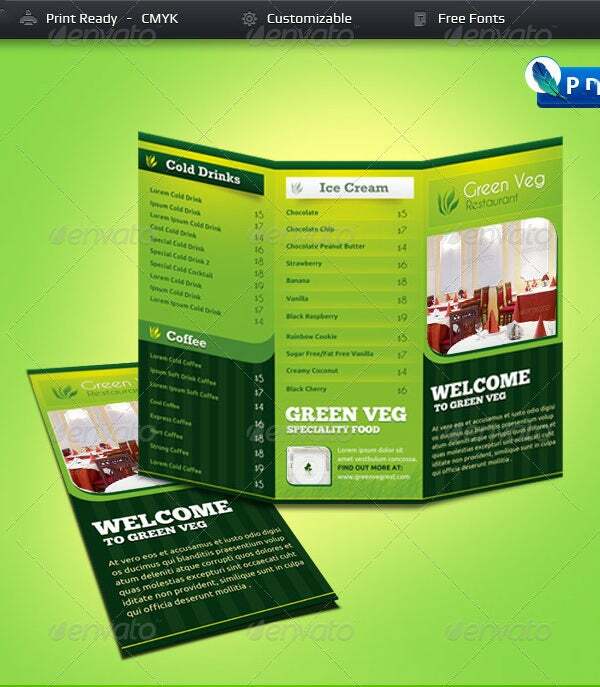 The Excel menu is a tri fold, offers ice cream, coffee and cold drinks. 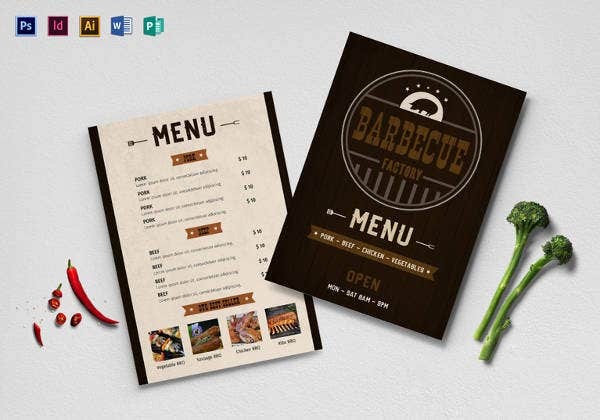 A great-looking menu card will always find viewers and takers. 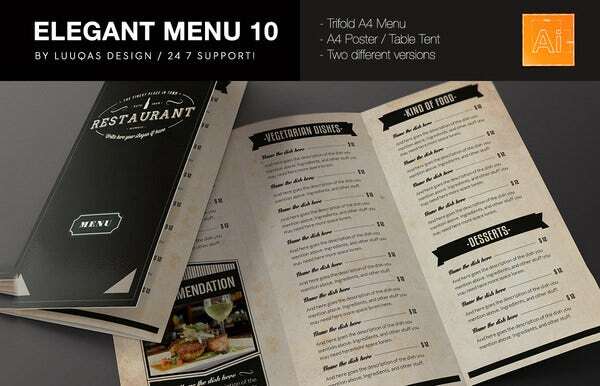 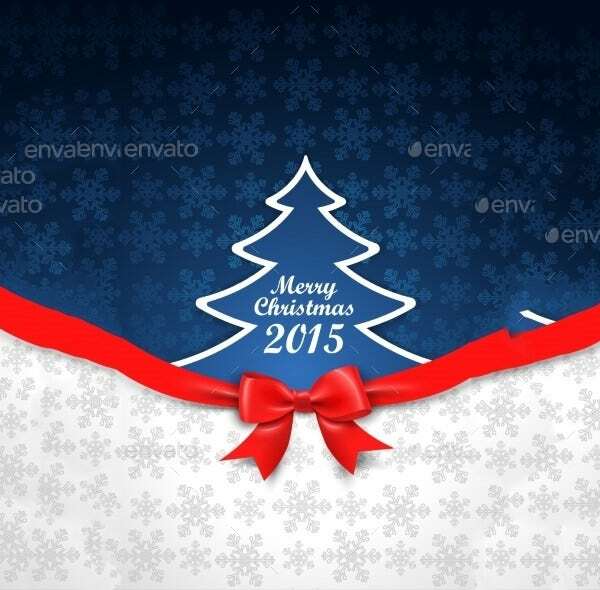 Impress your customers by having a beautiful menu-design such as this template over here. 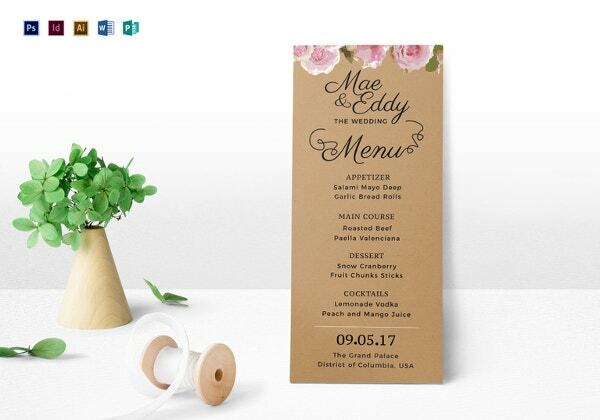 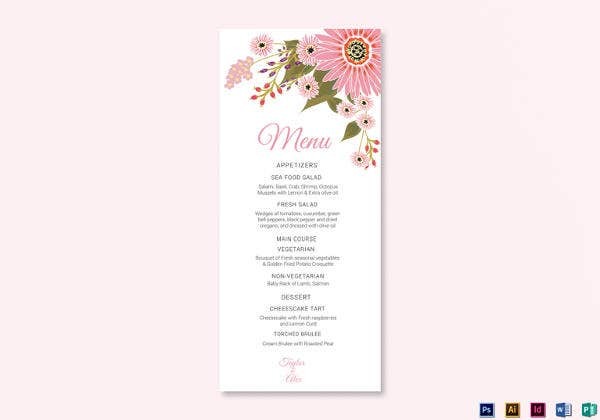 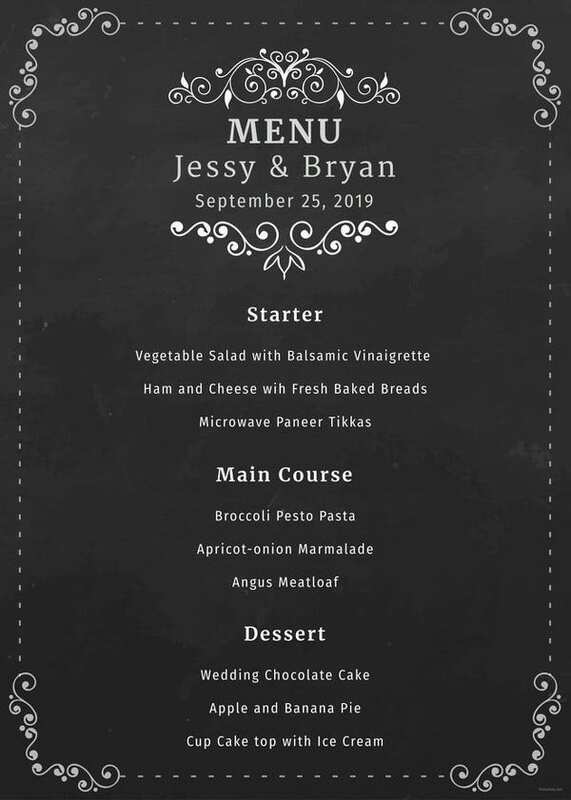 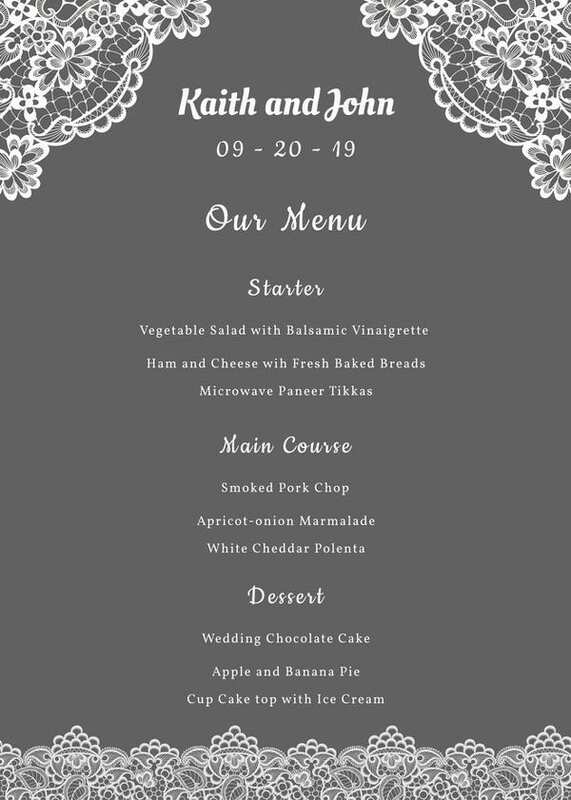 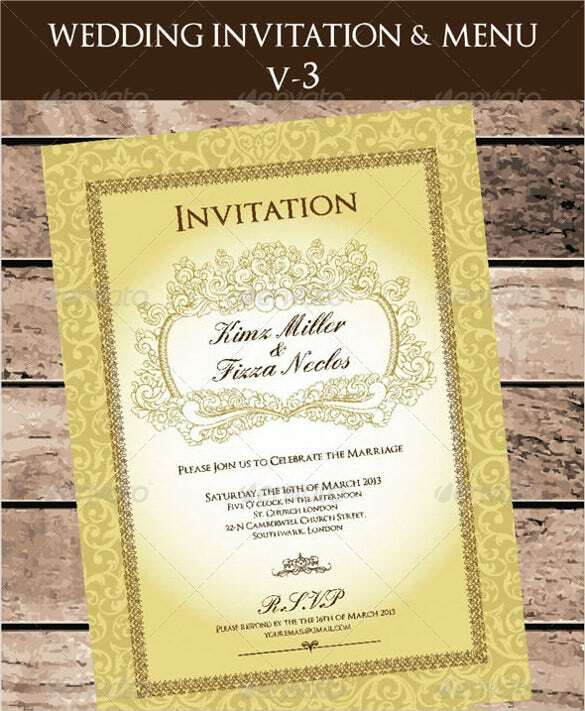 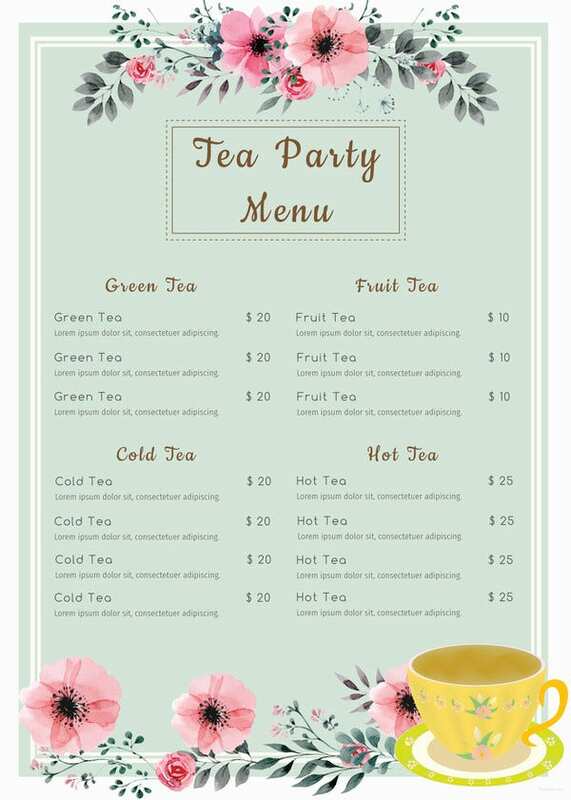 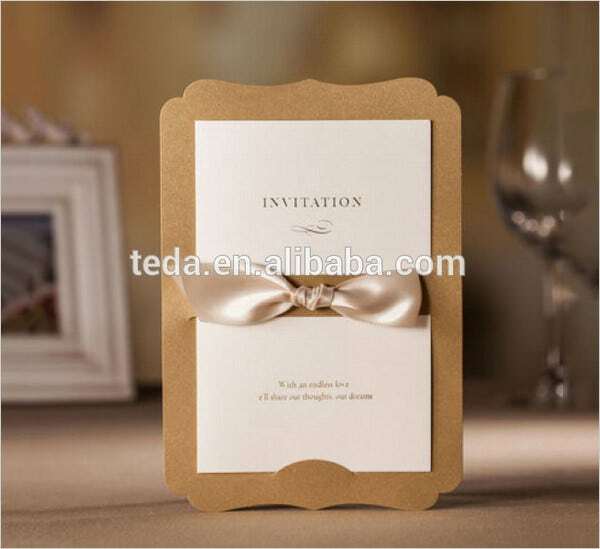 This is an EPS format menu card sample which has a brilliant design and layout already, the only customization required is inclusion of the names and prices of the delicacies which you offer. 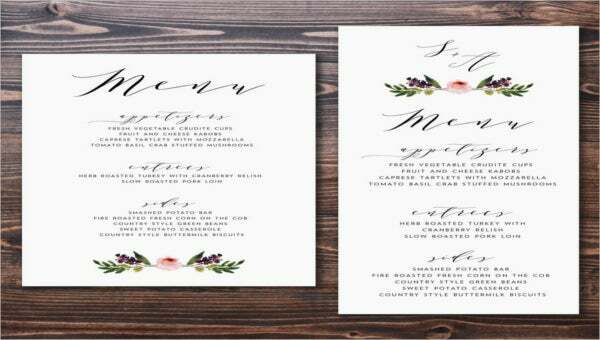 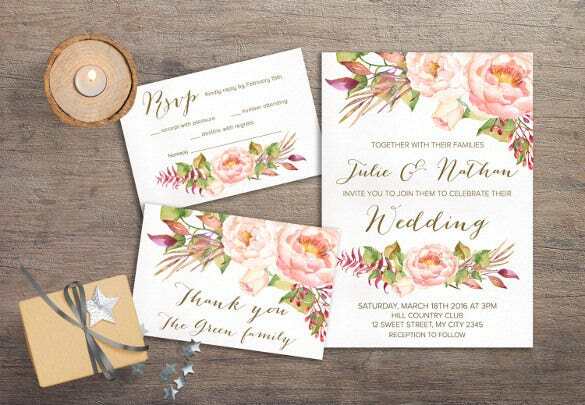 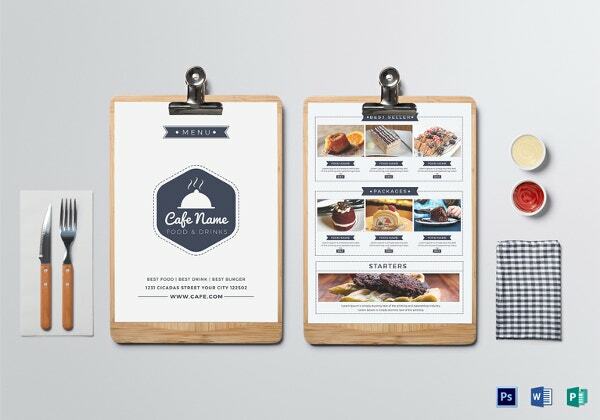 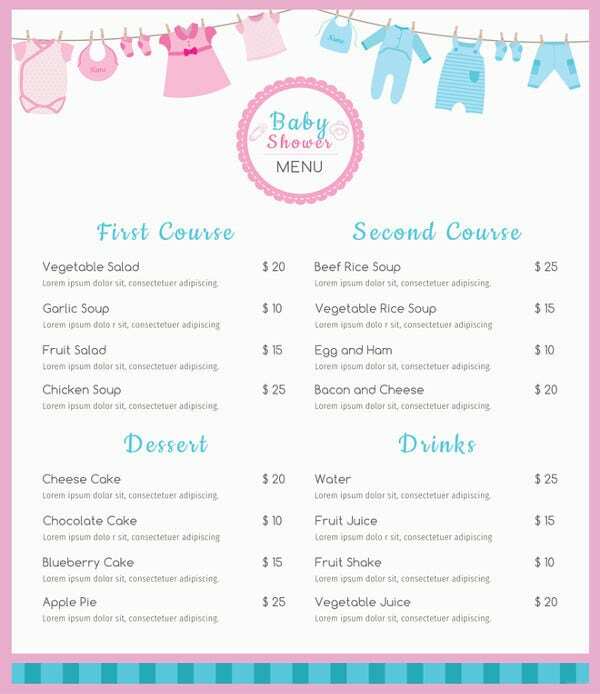 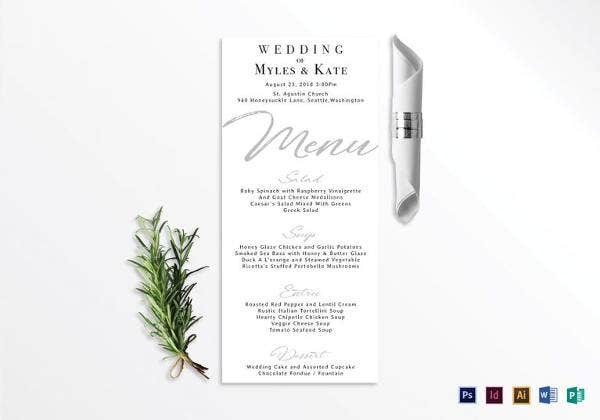 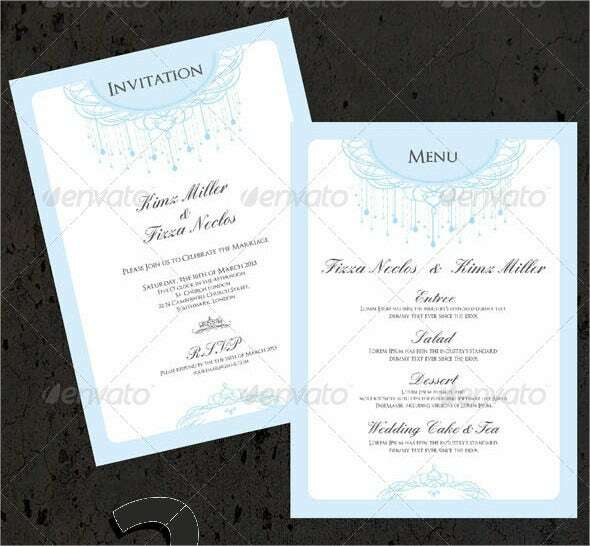 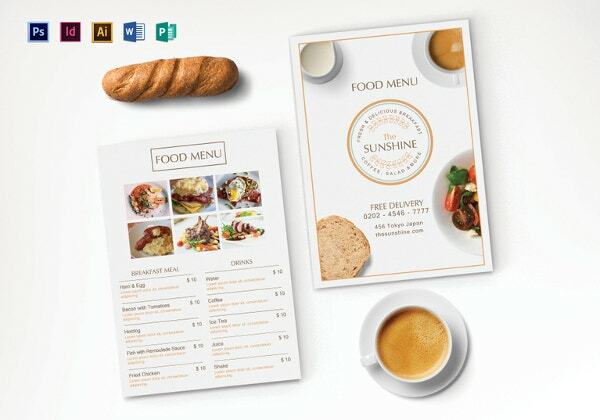 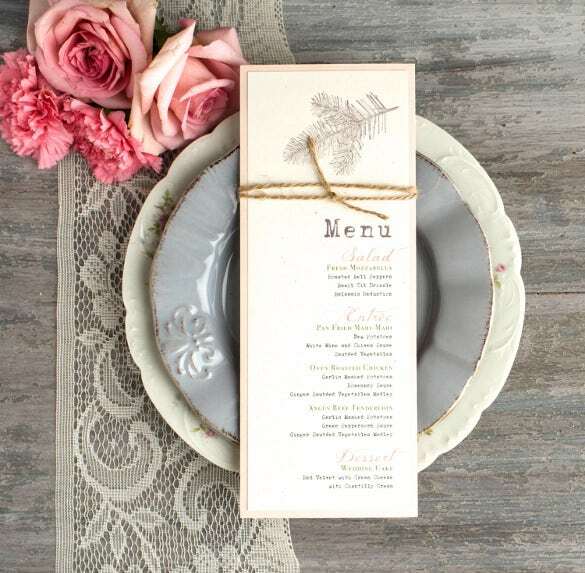 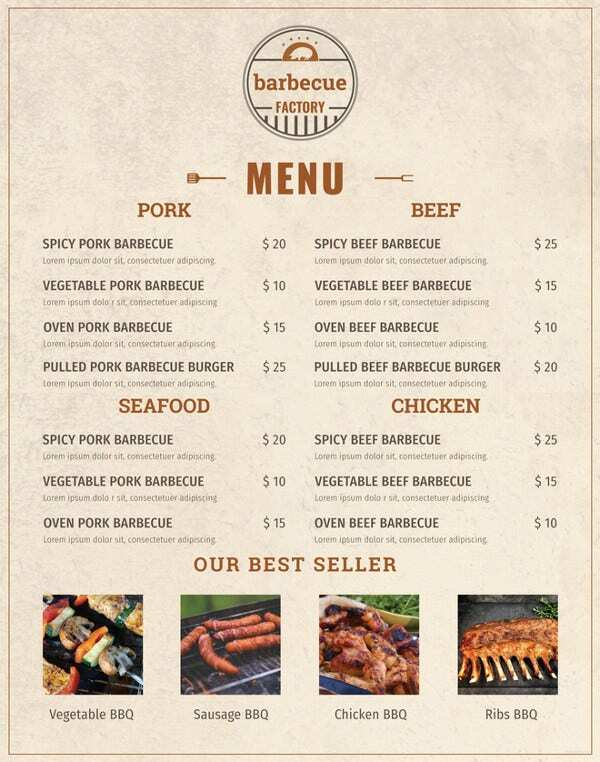 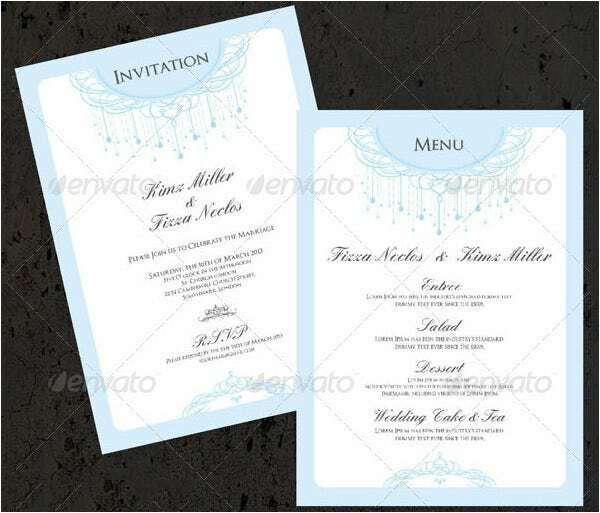 These free menu card templates are available online even without expenses. 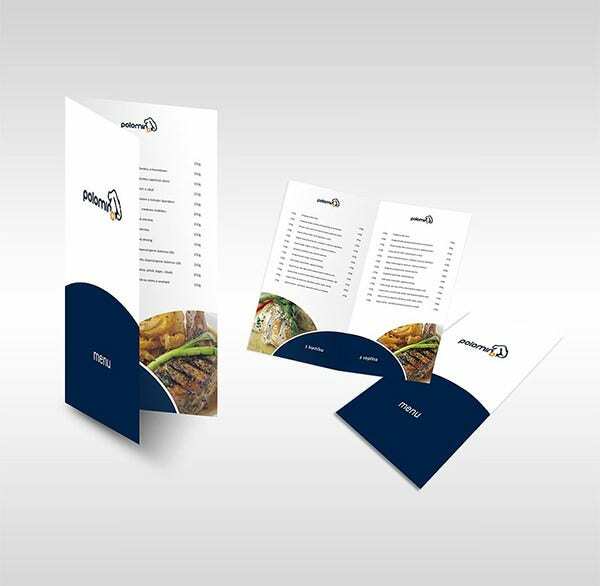 You need to just go to our website and click on Menu Templates and select the pattern and color of the card as per your choice.Enter the list of food items you have in your restaurant and get your blank menu card designed without wasting much time in let it designed by designers. 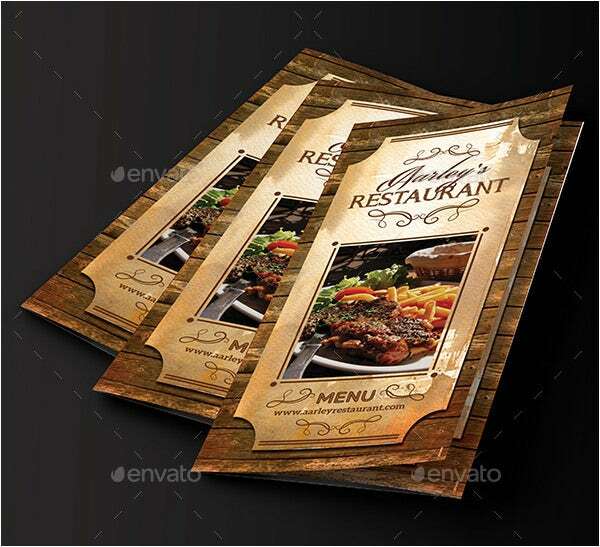 The online menu card template is the most emphatic way to design you own menu card. 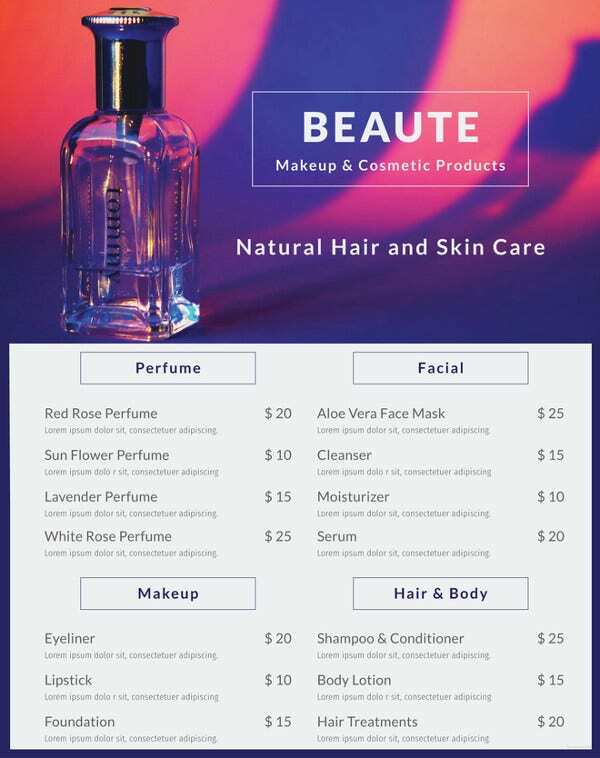 The best part is its ease of use. 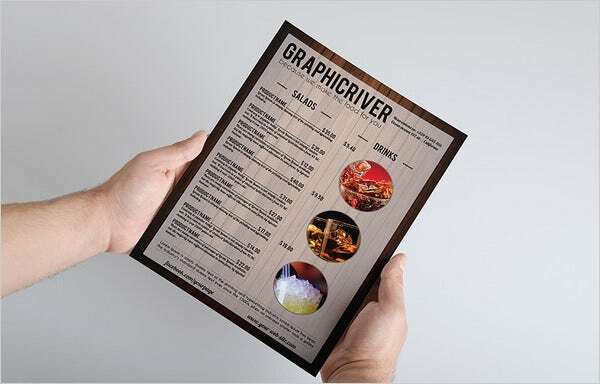 It is the dynamic method to keep your menu card up-to-date.It will save your cutomers time in choosing the menu for them and the cosmos and creative design of the menu card help them in deciding their encored visits to your food point. 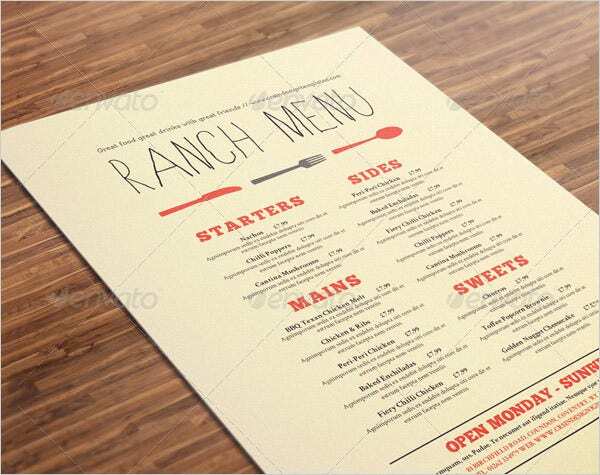 Attractive menu cards always make an impression on restaurant customers. 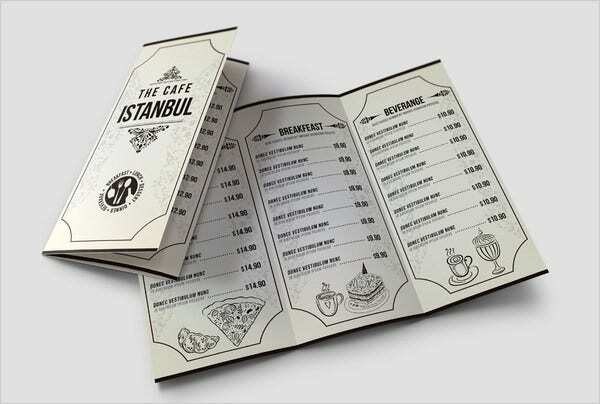 If you do not have the knowledge of how to design a menu, download and use this template to design your restaurant or hotel’s menu. 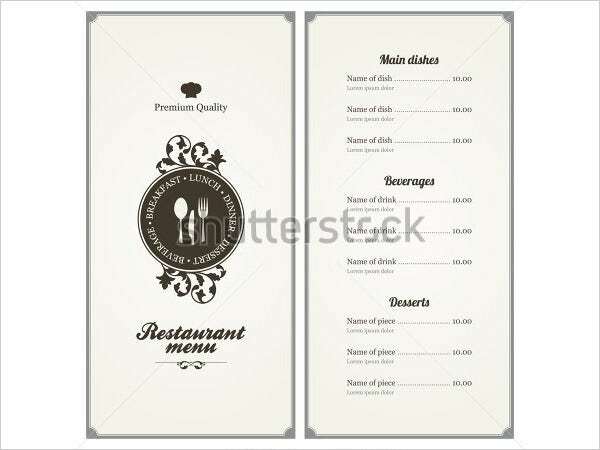 This is an EPS format template which can be customized very easily. 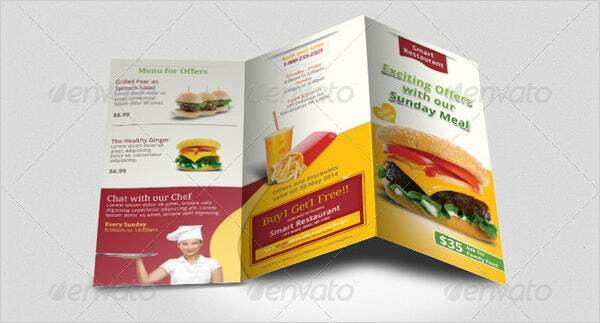 The layout and design is also fully-flexible.